Popular Linda Ikeji blog today released an exclusive video that showed PSquare’s Peter, Paul and Jude Okoye nearly coming to blows at their lawyer’s office after verbally attacking themselves. Fans are now reacting in shock. See more tweets and watch the video below. 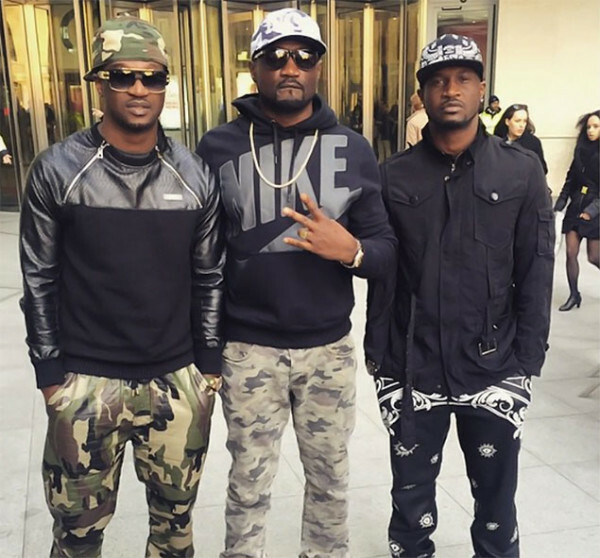 The Nigerian Hip-hop twins, Peter and Paul Okoye of the popular stage name Psquare, that dominated the Nigerian music industry for many years, have finally split up. According to a letter sent to their lawyer Festus Keyamo (SAN) by Peter, he demanded a termination of the agreement as a group. According to the copy of a letter in some media outlets on Monday, Peter based his decision on some serious allegations against his twin Paul and Jude their older brother and manager. He accused Paul of no longer willing to co-operate with him and even gone as far as canceling their scheduled music tour to the United States. He added that Paul was also slandering his wife and children with lies on social media, and alleged that his family was being threatened with threatening messages. Peter further accused his older brother Jude of once threatening to kill him and shoot his wife Lola. Peter stressed that he was tired of the “drama” and all he wanted was opting out of the Psquare group and contract. Social media was set on fire after Peter posted a Snapchat video revealing that he is in Philadelphia on his own for a solo show – without his twin brother, Paul. “My name is Mr. P,” Peter said “As from today, guess what? It’s show time, I’m about to go on stage.” This post came days after his brother, Paul wrote on Instagram saying; “Only a woman can come where there’s peace and destroy it”. The Okoye brothers have been engulfed in a war of words on the social media in recent times, and this development has confirmed rumors that there have been strains in their relationship.